Your Daily.co TV shows a 6-letter code in the lower right corner. It's a way to make sure that you are controlling the correct TV — and that no one else can control yours! Double check that you have entered the code exactly as it appears on your TV. 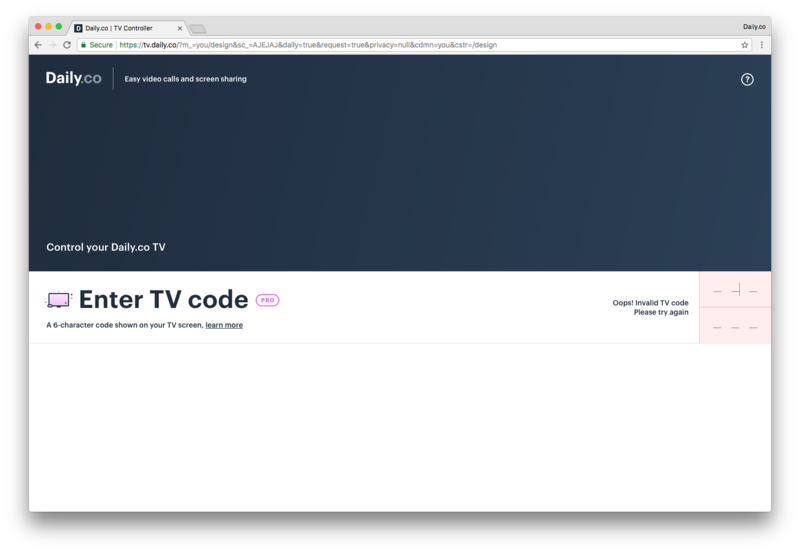 The TV code appears as 2 lines, but don't hit the Return or Tab keys when entering it in your browser. Simply type the 6 letters all in-a-row. Not working? It is likely that your Daily.co TV lost network connection at some point. 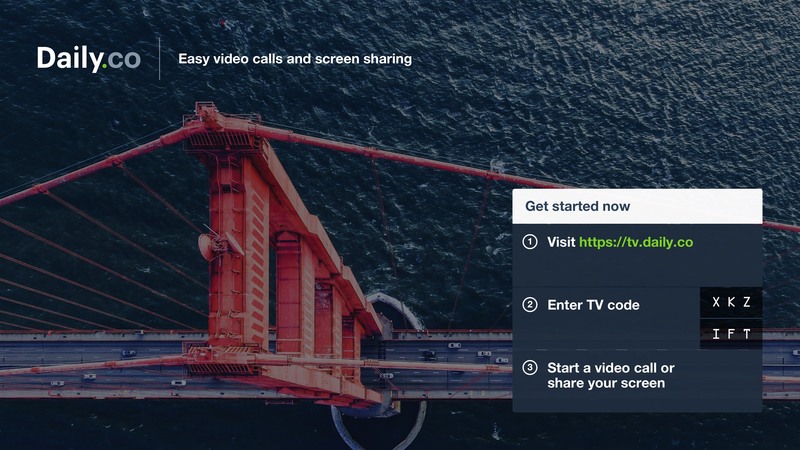 Try rebooting your Daily.co TV. Lightly press and release the power button on the front of your Daily.co TV to turn it off. Wait for the light on the front to turn off. Another press of the button will power it back on. After your Daily.co TV reboots, you will be presented with a new screen code. Give that new code a try in your browser. Chat with us or email help@daily.co if you still have problems. I don't see anything on my TV. Your TV is powered on. It is set to the correct HDMI input. I see something, but not any Daily.co logos or messages on my TV. Your TV is set to the correct HDMI input. Your Daily.co TV is powered on. It never hurts to reboot your Daily.co TV — this will often fix the issue.